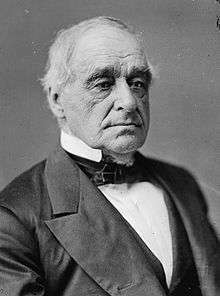 Hannibal Hamlin (August 27, 1809 – July 4, 1891) was an American attorney and politician from the state of Maine. In a public service career that spanned over 50 years, he is most notable for having served as the 15th Vice President of the United States. The first Republican to hold the office, Hamlin served from 1861 to 1865, during the first term of President Abraham Lincoln. 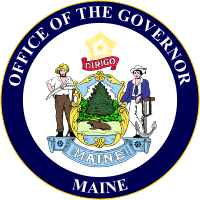 A native of Paris, Maine, Hamlin was a descendant of an English family that had originally settled in New England in the 1600s. After his early education was complete, Hamlin managed his father's farm before becoming a newspaper editor. He studied law, was admitted to the bar in 1833, and began to practice in Hampden, Maine. Originally a Democrat, Hamlin began his political career with election to the Maine House of Representatives in 1835 and an appointment to the military staff of the Governor of Maine. As an officer in the militia, he took part in the 1839 negotiations that helped end the Aroostook War. In the 1840s Hamlin was elected and served in the United States House of Representatives. 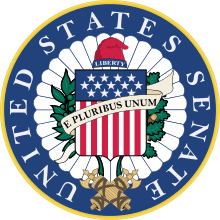 In 1848 the state house elected him to the United States Senate, where he served until January 1857. He served temporarily as governor for six weeks in the beginning of 1857, after which he returned to the Senate. Hamlin was an active opponent of slavery; he supported the Wilmot Proviso and opposed the Compromise Measures of 1850. In 1854, he strongly opposed passage of the Kansas–Nebraska Act. Hamlin's increasingly anti-slavery views caused him to leave the Democratic Party for the newly formed Republican Party in 1856. In 1860, Hamlin was the Republican nominee for Vice President; selected to run with Abraham Lincoln, who was from Illinois, Hamlin was chosen in part to bring geographic balance to the ticket and in part because as a former Democrat, he could work to convince other anti-slavery Democrats that their future lay with the Republican Party. The Lincoln and Hamlin ticket was successful, and Hamlin served as Vice President from 1861 to 1865, which included the majority of the American Civil War. The first Republican Vice President, Hamlin held the office in an era when the incumbent was considered more a part of the legislative branch than the executive; he was not personally close to Lincoln and did not play a major role in his administration. Even so, Hamlin supported the administration's legislative program in his role as presiding officer of the Senate, and he looked for other ways to demonstrate his support for the Union, including a term of service in a Maine militia unit during the war. For the 1864 election, Hamlin was replaced as Vice Presidential nominee by Andrew Johnson, a southern Democrat chosen for his appeal to pro-Union southerners. The Republicans considered their support to be necessary during the reconciliation and rebuilding anticipated once the Civil War was over. After leaving the vice presidency, Hamlin served as Collector of the Port of Boston, a lucrative post to which he was appointed by Johnson after the latter succeeded to the presidency following Lincoln's assassination. Hamlin resigned as Collector because of disagreement with Johnson over Reconstruction of the former Confederacy. Hamlin was born to Cyrus Hamlin and his wife Anna, née Livermore, in Paris, Maine. He was a descendant in the sixth generation of English colonist James Hamlin, who had settled in the Massachusetts Bay Colony in 1639. He was a grandnephew of U.S. Senator Samuel Livermore II of New Hampshire. Sarah died in 1855. The next year, Hamlin married her half-sister, Ellen Vesta Emery in 1856. They had two children together: Hannibal E. and Frank. Ellen Hamlin died in 1925. Hamlin's political career began in 1835, when he was elected to the Maine House of Representatives. Appointed a Major on the staff of Governor John Fairfield, he served with the militia in the bloodless Aroostook War of 1839. He facilitated negotiations between Fairfield and Lieutenant Governor John Harvey of New Brunswick, which helped reduce tensions and make possible the Webster-Ashburton Treaty, which ended the war. Hamlin was nominated by the Republican Party to serve as Vice President of the United States in the 1860 presidential election on a ticket with former Representative Abraham Lincoln. Given that Lincoln was from Illinois, a vice presidential nominee from Maine made sense in terms of regional balance. 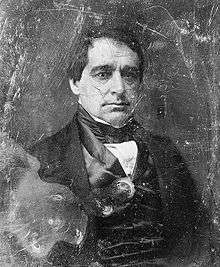 As a former Democrat, Hamlin could also be expected to try to persuade other anti-slavery Democrats that joining the Republican Party was the only way to ensure slavery's demise. Hamlin and Lincoln were not close personally, but had a good working relationship. 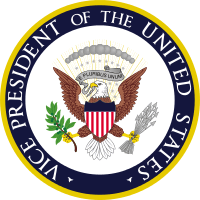 At the time, the Vice President was considered part of the legislative branch in his role as President of the Senate, and so did not attend cabinet meetings; thus, Hamlin did not regularly visit the White House. It was said that Mary Todd Lincoln and Hamlin disliked each other. For his part, Hamlin complained, "I am only a fifth wheel of a coach and can do little for my friends." Beginning in 1860, Hamlin was a member of Company A of the Maine Coast Guard, a militia unit. When the company was called up in the summer of 1864, Hamlin was told that because of his position as Vice President, he did not have to take part in the muster. He opted to serve, arguing that he could set an example by doing the duty expected of any citizen, and the only concession made because of his office was that he was quartered with the officers. He reported to Fort McClary in July, initially taking part in routine assignments including guard duty, and later taking over as the company cook. He was promoted to corporal during his service, and mustered out with the rest of his unit in mid-September. In June 1864, the Republicans and War Democrats joined to form the National Union Party. Although Lincoln was renominated, War Democrat Andrew Johnson of Tennessee was named to replace Hamlin as Lincoln's running mate. Lincoln was seeking to broaden his base of support and was also looking ahead to Southern Reconstruction, at which Johnson had proven himself adept as military governor of occupied Tennessee. Hamlin, by contrast, was an ally of Northern radicals (who would later impeach Johnson). Lincoln and Johnson were elected in November 1864, and Hamlin's term expired on March 4, 1865. On Independence Day, July 4, 1891, Hamlin collapsed and fell unconscious while playing cards at the Tarratine Club he founded in downtown Bangor. He was then placed on one of the club's couches and died a few hours later. He was 81. Hannibal Hamlin was buried in the Hamlin family plot at Mount Hope Cemetery in Bangor, Maine. He had survived six of his successors as Vice President: Andrew Johnson, Schuyler Colfax, Henry Wilson, William A. Wheeler, Chester A. Arthur and Thomas A. Hendricks. From June 4, 1887 to March 4, 1889, he was the only living Vice President (current or former) and afterwards he continued to be the only living former Vice President until his own death in 1891. Hamlin County, South Dakota is named in his honor, as are Hamlin, Kansas; Hamlin, New York; Hamlin, West Virginia; Hamlin Township; Hamlin Lake in Mason County, Michigan; and, Hamlin, a small Maine village that is a U.S.-Canada border crossing with Grand Falls, New Brunswick. There are statues in Hamlin's likeness in the United States Capitol and in a public park (Norumbega Mall) in Bangor, Maine. Hamlin appears briefly in three alternate history writings by Harry Turtledove: The Guns of the South, Must and Shall, and How Few Remain. ↑ Hamlin, Charles Eugene (1899). The Life and Times of Hannibal Hamlin. Cambridge, MA: Riverside Press. p. 12. ↑ Waterman, Charles E. (August 1, 1891). "The Birthplace of Hannibal Hamlin". The New England Magazine. Boston, MA. 4 (6): 731. ↑ Hamlin, Charles Eugene (1899). The Life and Times of Hannibal Hamlin. Cambridge, MA: Riverside Press. p. 41. ↑ Barrett, Joseph Hartwell (1860). Life of Abraham Lincoln (of Illinois). Moore, Wilstach, Keys & Co.: Cincinnati, OH. p. 196. ↑ "Fogler Library: Finding Guide to the Hamlin Family Papers". Library.umaine.edu. Retrieved 2012-10-01. ↑ "Abraham Lincoln: Campaigns and Elections (Winning Republican Support)". The Miller Center. Retrieved August 27, 2016. ↑ "Abraham Lincoln's White House – Hannibal Hamlin (1809–1891)". Mrlincolnswhitehouse.org. Retrieved 2012-10-01. ↑ Eicher, David J. (2001). The Longest Night: A Military History of the Civil War. New York, NY: Simon & Schuster. p. 366. ISBN 978-0-7432-1846-7. ↑ Dray, Philip (2008). Capitol Men: The Epic Story of Reconstruction Through the Lives of the First Black Congressmen. Boston, MA: Houghton Mifflin. p. 14. ISBN 978-0-618-56370-8. ↑ Taaffe, Stephen R. (2006). Commanding the Army of the Potomac. Lawrence, KS: University Press of Kansas. p. 55. ISBN 978-0-7006-1451-6. ↑ Steers, Edward Jr. (2007). Lincoln Legends: Myths, Hoaxes, and Confabulations Associated with Our Greatest President. Lexington, KY: University Press of KY. p. 109. ISBN 978-0-8131-2466-7. ↑ Laird, Archibald (1980). The Near Great—Chronicle of the Vice Presidents. Boston, MA: Christopher Publishing House. p. 141. ISBN 978-0-8158-0381-2. ↑ Scroggins, Mark (1994). Hannibal: The Life of Abraham Lincoln's First Vice President. Lanham, MD: University Press of America. pp. 210–11. ISBN 978-0-8191-9440-4. ↑ Hamlin, Charles Eugene (1899). The Life and Times of Hannibal Hamlin. Cambridge, MA: Riverside Press. pp. 505–509. ↑ "The Hannibal Hamlin House posted to the National Register of Historic Places in 1979". Retrieved 2011-11-13. ↑ "The late Hon. Elijah L. Hamlin" (PDF). The New York Times. July 23, 1872. Retrieved 2010-12-20. ↑ Moorhead, Warren King (1980). A Report on the Archeology of Maine. New York City: AMS Press. p. 34. ISBN 978-0404156435. ↑ Augustus Choate Hamlin (1896). The Battle of Chancellorsville. Bangor, Maine. 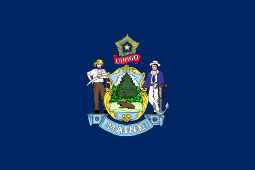 ↑ "Speakers of the Maine House of Representatives 1820-". Maine State Legislature. October 6, 2015. Retrieved 2015-10-21. ↑ "Isaiah K. Stetson profile". Representative Men of Maine. 1893. Retrieved 2015-10-21. Ted Widmer (November 22, 2010). "Lincoln Speaks". NY Times.